Steeped in tradition for the past half century, the Piano Pedagogy division at the University of Illinois School of Music is a pioneering program and among one of the oldest in the United States. 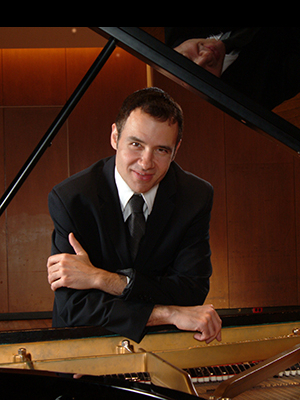 Through national and international presentations, master classes, performances, and publications, our piano pedagogy faculty members are among the most visible, with many of their publications used extensively as standard resource texts on piano literature, favored editions of solo piano music, and texts for college group piano classes. Our graduates hold positions in prestigious universities throughout the world and are leaders in the music industry as composers, teachers and administrators. Our degrees include the BM in Open Studies with a piano pedagogy major and a Master of Music in piano pedagogy. A cognate in piano pedagogy may be pursued as part of the Doctor of Musical Arts in Performance and Literature. A wide range of courses is available from jazz improvisation to specialized practicum courses in which students receive hands-on experience through teaching internships. Additionally, in collaboration with the Office of Public Engagement in the School of Music, the Piano Pedagogy Division offers a Piano Laboratory Program for pre-collegiate non-credit piano instruction. Our goal is to provide an excellent curriculum that prepares our students to be versatile teachers and performers in the 21st Century.